A new book from Professor Anthony Spalinger engages with calendars and warfare in Ancient Egypt. 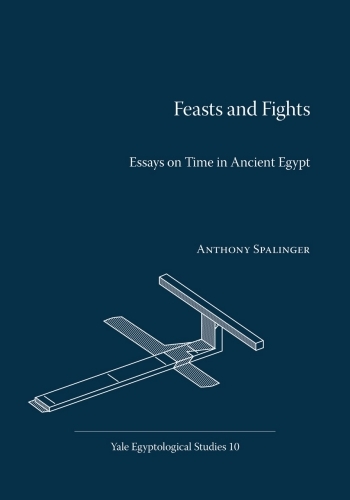 The five essays in Feasts and fights: Essays on time in Ancient Egypt are based on a series of lectures that Tony was invited to present in the Department of Near Eastern Languages and Civilizations at Yale University in 2012. Tony, a life-long student of ancient Egyptian calendrics and the Egyptian military, says that "I had great pleasure in presenting this work at Yale University". "I got my PhD there many years ago, so it was nice to be invited back." The Egyptian Civil Calendar was based on an annual year comprised of 12 months of 30 days, with five extra days at the end of the year. It has been called the sanest method of chronological measurement that has ever been devised. Tony says that the emergence of the Civil Calendar from the lunar calendar is interesting because of its insights into how we developed our ideas about time. "There's nothing innate about time." The first three chapters cover the development of Richard Parker's seminal study from 1950 arguing that the Civil Calendar arose from the pre-existent lunar calendar, and move into the present stage of scholarship. Tony clarifies Parker’s often misunderstood arguments by exploring the dating of feasts, the names of the Egyptian months and their metamorphoses, and the retention of lunar-based phenomena. Two final chapters turn to the military aspects of New Kingdom warfare, with emphasis placed upon Seti I and logistical arrangements. A strong thread of mathematics — especially statistics — underlies Tony’s explorations of these two areas of modern Egyptology. He says that the book is a summary of two of his main research interests over the last 20 years, and will appeal to people interested in absolute dating, natural science and astronomy.